SAN ANTONIO, Texas (KTRK) -- An American Airlines flight in San Antonio became stuck in the mud after it veered off of the runway. 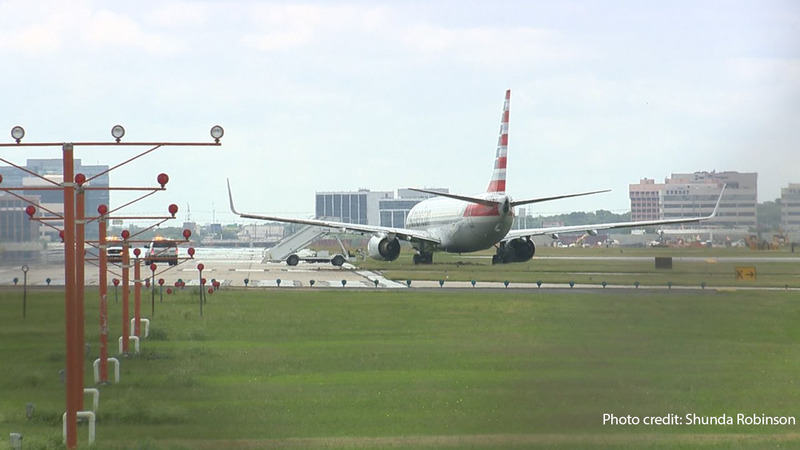 American Airlines Flight 2214, a Boeing 737, veered off of the edge of Runway 13-Right at San Antonio International Airport around 9:40 a.m., shortly after beginning its takeoff roll. The aircraft is currently stuck in the mud at the edge of the runway. Passengers exited the aircraft by stairs. No injuries have been reported. Commercial flights at the airport have been suspended until the aircraft can be removed.